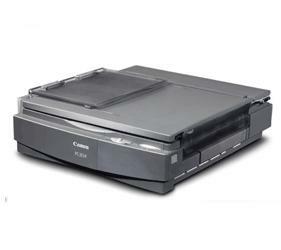 Canon FC 204 toner are invariably a good deal less costly any time you order from the us, so why would you want to spend more? We pride ourselves on supplying Canon toner that are marked down in price. Feeling concerned? If you feel eager to save cash then it will make perfect sense to reap the benefits of our free overnight delivery service that'll cut the cost of ordering Canon FC204 toner online. And in case you needed more reason to get Canon FC204 toner at Cartridge Save then you should take into account our money back guarantee. Considering the fact that we strive for get 100% customer satisfaction whenever you spend money on a toner we'll always give you a full refund if you're ever unhappy. When a new copier hits the market, people often wonder whether the item they currently own is still up to date. This is understandable, especially if you have seen or even heard about the super impressive Canon FC-204, a copier which really does knock the competition clear out of the water in many ways. Here is a brief review of everything the FC-204 laser copier has to offer you and your office. It really is a cracking device. The user interface is oddly attractive, as well as functional and what's more, the sleek grey finish only adds a further touch of class to what is a very impressive piece of kit. More often than not, an office printer will tend to be ugly and invasive. The Canon FC-204 manages to avoid this by employing a compact design and as such, deserves our praise. The Canon FC204 printer offers a range of features and, alongside its very attractive set-up, anyone lucky enough to own a Canon FC 204 can enjoy not only high quality printing, in both colour and black and white, but also a very impressive scanner function which could not be easier to use. There are no drawbacks to this printer other than the price which, when you consider everything that the Canon FC-204 offers is actually very reasonable. Put simply, the Canon FC-204 is a laser printer unlike any other and certainly warrants further investigation, particularly if you are looking to kit out an office with new, effective equipment. A fine office printer slash copier indeed.